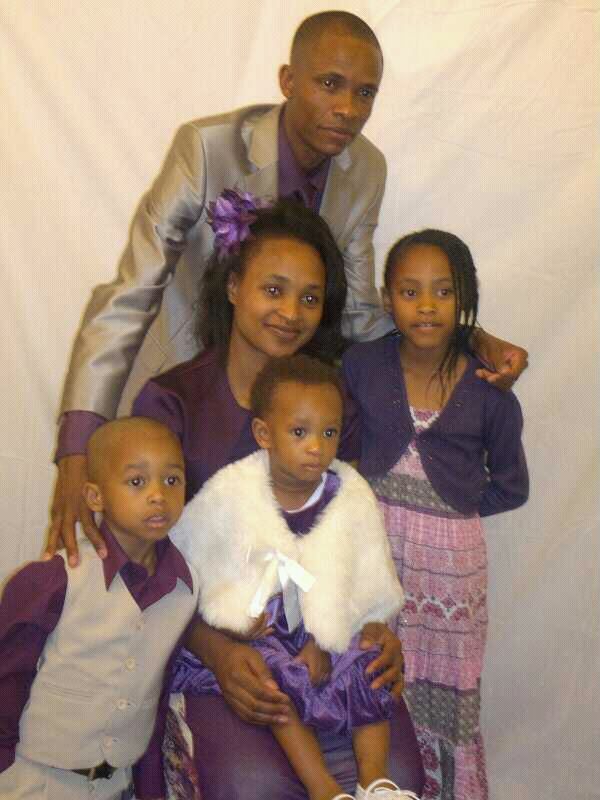 HARARE, Zimbabwe – Maidei Tikiwa, 26, of Chitungwiza has three children. Hararian, Tambudzai Chikanga, 28, has two. For Shamiso Dube, 30, of Mutare, it’s three. Ruvimbo Mazani, of Tafara, has four. Blessing Chitambo, 20, wanted two – and got them when her twin boys, Tafadzwa and Tafara, were born four year ago. “I have always wanted to have two children, that’s something I agreed with my huaband. Two is very normal,” said Chitambo. Traditionally, six has been the number of children favoured by most Zimbabweans. But the ideal family size appears to have gone through a shift. Nowadays, deciding how many kids to have isn’t as easy as settling on a magic number, especially against a background of a tough economy, increased educational opportunities for women and increased job demands. In the past, the number of children that couples chose to have was often determined by household workloads. Hence, couples opeted to have big families in order to secure labourers. However, today’s parents are increasingly facing a lot of things that need to be balanced. Young couples intend on having children (and those that are looking to have children someday) have to balance school, career choices and relationships. What is interesting is that, unlike in the past, there is now little extended family influence in making decisions about family size. “It’s now a very personal decision how many children I’m going to have. It’s something that my husband and I have already decided. However, I can’t say what we decide should be a straight-jacket for all,” said Mazani, who added that she and her huband, Tawanda, talked extensively about how many kids they wanted to have. James Sitiya, 32, who is planning to get married next year, said the choice of a partner largely determines the number of children. “I think the more educated we become, the less children we opt to have. I see it among most of my friends that are married – three is the highest number of children that most are opting for. It’s just an imperative that one has to balance career development with starting a family,” he said. In the twentieth century, the typical Zimbabwean woman had six to ten children. During that time, children were largely seen as an asset. Children were regarded as a resource that could be put to work. Parent expected their children to look after them when they were old. Very little money was spent on the education of children, particulalrly, girls. More recently, children are now seen as an investment. There is an increasing realization among younger Zimbabweans that children require investment in order to have a successful adulthood. It is proving more difficult financially and logistically to have more children nowadays. Howvever, there is some clear brainwashing that two children, especially if it’s a boy and a girl, is the perfect size for a family. That message is hammered via advertising. Whatever the case, what is apparent is that Zimbabwe’s family size has significantly shrunk. Two seems to be taking hold, and it’s not surprsing given that it takes appromixately US$200,000 to rear a child from age zero to 18. Across sub-Saharan Africa, new moms are at risk of falling into depressive states that can potentially damage their own mental health and well-being of their new born child. In many parts of the continent, public health systems are ill-equipped to deal with post-partum depression which affects a significant number of women after giving birth. The situation is made worse by the absence of psychiatrists or clinical psychologists trained to help women cope with the condition. According to researchers, post-partum depression (also called post-natal depression) affects as many as one in five women, particularly during the first year of motherhood. Less than 2 in 1,000 women are also at risk of developing postpartum psychosis. The condition causes mothers to feel exhausted and emotionally empty and can potentially destroy the bonding between a mother and her new-born baby. “Women seem to be particularly vulnerable to depression during their reproductive years: rates of the disorder are highest in females between the ages of 25 and 45. New data indicate that the incidence of depression in females rises, albeit modestly, after giving birth,” reports the Scientific America journal. According to the journal, dramatic hormonal fluctuations that occur after delivery may contribute to postpartum depression in susceptible women, but causes of the disorder are not fully understood. “A longer term consequence of not diagnosing and treating postpartum depression is the effects it can have on the family, including the parental relationship and the development of the child. Children of depressed women have been found to have attachment problems, higher rates of behavioural problems and lower vocabulary skills,” states a report titled Postpartum Depression: A Literature Review. For some new moms, the situation can be so severe it can lead to cases of infanticide and suicide. However, among African women, little to no studies have been conducted to better understand the condition, and the way that women cope in the absence of appropriate public health services. It is possible to surmise from existing data from other parts of the world the general experience of African women following childbirth. A study by the University of Iowa revealed that low-income women are much more likely to suffer from postpartum depression than wealthier women. The research revealed that women who are poor already have a lot of stress, ranging from poor living conditions to concerns about paying the bills. The birth of an infant can represent additional financial and emotional stress, and depression negatively impacts the woman’s ability to cope with these already difficult circumstances, according to the study. The study which focused on a sample of 4,332 new mothers from four Iowa counties showed that that compared to white or Latino mothers, African-American mothers are more likely to experience depression after having a baby. Furthermore, the study revealed that African-American women tend to have weaker support networks, a major predictor of postpartum depression. Like African-American women, African women that give birth are also affected by low incomes and high levels of general and live in stressful contexts which increases the onset of depression. While there is clearly a need for more research into the coping methods of African women, simple screening methods can be utilized to identify women that are at risk of postnatal depression. Nurses in public health settings need to be provided with training so that they are able to detect and assist new mothers from post-partum depression. The use of a simple tool, the Edinburgh Postpartum Depression Scale, translated into local language, can assist nurses, family members and new moms to detect depressive symptoms. If anything, public educational and awareness raising programs or simple pamphlets and posters describing the condition need to be displayed in ante-natal clinics so that women are mentally prepared to deal with the problem. As research shows, social support networks can also play a key role in helping women deal with postnatal depression. Overall, it is essential for national government throughout the world to guarantee that new moms have access to clinical and maternal services that can help to avert the emotional upheavals associated with giving birth.